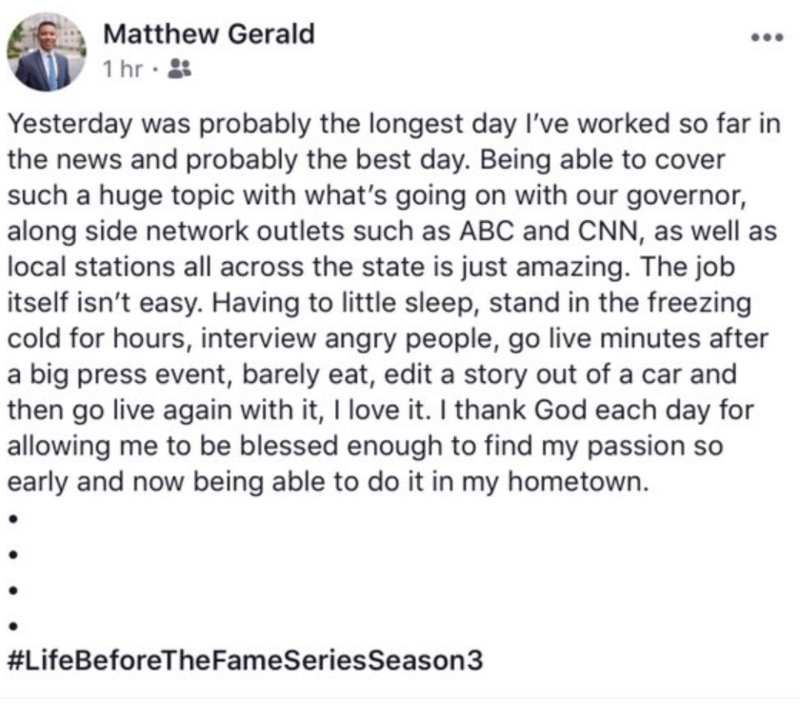 WTVR Reporter Matthew Gerald was covering the Virginia governor story, and although he thought it was a very hard day of work, it was one of his best days yet. He says that he got to work alongside the networks like ABC and CNN and he adds the job isn’t easy, Standing in the cold, editing out of a car and interviewing angry people on an empty stomach is the price he pays. But this as he says in his hashtag is #LifeBeforeTheFameSeriesSeason3. Not sure how many seasons it will be before young Matthew becomes famous, but if you is planning on staying in Journalism, we have some news for you. After you’re famous, the job is pretty much the same.